Having a good selection of sauces and dressings is essential in our kitchen. Especially for those busier times in life, when having tasty sauces on hand helps make the simplest of meals taste great. 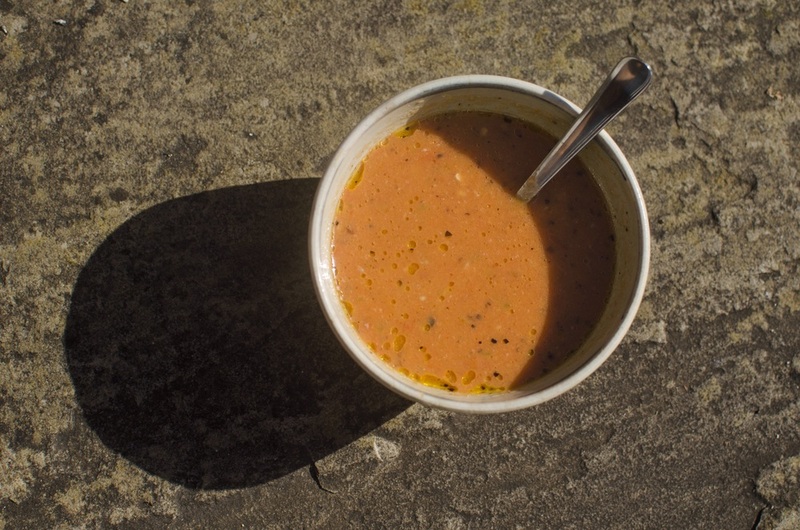 This roasted red pepper sauce is our current favourite - it's fresh, deliciously tangy and adds a perfect amount of spice to food. We've been loving it on salads, potatoes (as a healthier version of patatas bravas), with veggie burgers and roasted portobello mushrooms. We hope you you enjoy it as much as we do! 1. If roasting your own peppers, you'll need to roast them until blackened. Allow to cool and then remove the skin and seeds. 2. Combine all the ingredients in a food processor and blend until smooth. The sauce will keep in the fridge for at least five days. This tomato salsa is the perfect addition to any Mexican-style meal and always makes an appearance at our table! It's the perfect balance of tangy and sweet, while the charred ingredients give it a delicious, smokey flavour. It's also ridiculously easy to make and has no artificial ingredients (like so many store bought condiments). We love ours with home-made refried beans and tacos. But it's also a great as a leftover...we stir it into soups, serve it with crispy fishcakes or mix it into a salad for instant freshness. 1. 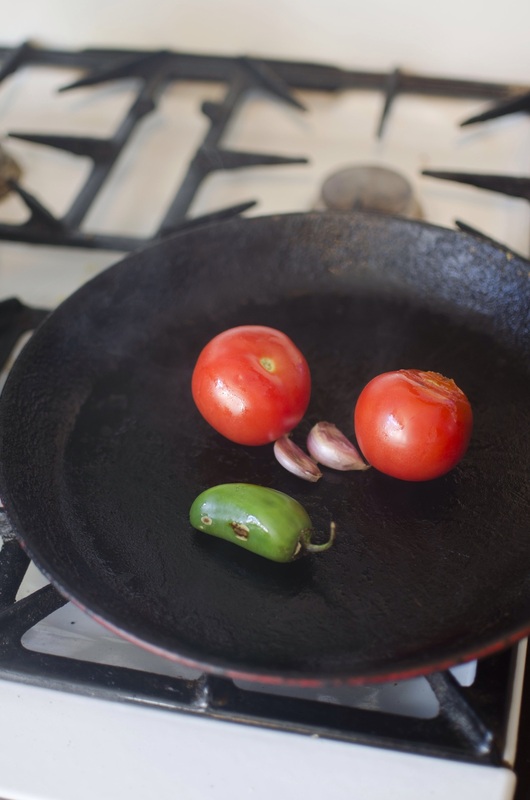 In a heavy-bottom frying pan, dry roast the tomatoes, garlic and jalapeño until charred. (See the first photo for an idea of how they should look!). Keep turning the tomatoes to get them charred on all sides. It's likely the garlic/jalapeño will be charred before the tomatoes, so just remove them from the pan and put to one side when ready. 2. Place the tomatoes, garlic and jalapeño in a blender or food processor. Add the juice of half a lime, a teaspoon of panela, a tablespoon of olive oil, a tablespoon of water and a teaspoon of apple cider vinegar. 3. Blend until smooth. Add salt and pepper to taste and enjoy!